Sunspace Sunrooms, Patio Covers and WeatherMaster Windows and Enclosures are designed to extend your enjoyment of the outdoors without common annoyances like wind, rain, insects and harmful UV rays. Sunspace Sunrooms and WeatherMaster add beauty and comfort while increasing the value of your home or cottage. Our Enclosures and Patio Covers can be installed directly onto existing patios, decks and even under previously constructed roofs. Our service is ranked among the best in the industry; we have thousands of very satisfied customers who now enjoy their homes even more. 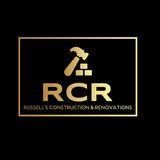 We approach every project with professionalism, craftsmanship, dependability and the highest levels of quality control. Sunspace and our Authorized Dealers throughout the United States and Canada will ensure that your Sunroom will be a worry free experience from start to finish! 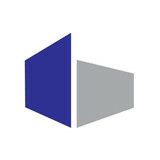 Decksn’Stuff specialize in the design and construction of custom outdoor structures. Wood decks, pergolas, garden arbors are all within our expertise. Our projects range from basic, economical structures to ones which are more involved and require elaborate woodworking. As a result of this flexibility we have a diverse client base including individual residential home owners, large commercial builders and landscaping companies. Tim Harney, Owner & General Contractor Prior to starting the firm, Tim was a commercial contractor working projects all over the Toronto area. At the time, the region was booming and new homes were being turned out assembly-line style with little regard for craftsmanship, quality materials or customer service. Tim listened to the concerns and realized that there was great opportunity in delivering a value-based contracting service – where the client partnered with the contractor rather than “hiring” them. He developed a very successful formula for making sure that he understood exactly what the home owner wanted and then delivered the finish product on time and on budget. Three thousand projects later, Tim has a home improvement program that will fit just about any budget with an absolute guarantee that he will deliver exactly what he promised you – and, part of that promise includes: • Treating your home and family with respect; • Being personally involved in your project overseeing every detail; • Providing highly trained crews that he employs – no subcontractors; and • Tim being your one point of contact for ALL questions and concerns. Archadeck of Southwest GTA is a full service design and build outdoor living structures company. Archadeck of Ontario services Oakville, Mississauga, Burlington and Milton. Archadeck builds high quality decks using only the finest workmanship, techniques and materials. Whether you are looking for a wood deck or a composite deck, Archadeck will build your deck to suit. Archadeck of Ontario also builds porches, pergolas, patios, sunrooms and outdoor kitchens. Summerwood Products offers an endless choice of design solutions to enhance your outdoor living. From stylish backyard sheds, cedar gazebos, garage solutions and pool houses to small cabins, home studios and more, you'll find it right here! Based in Toronto, Canada, Summerwood's rugged but stylish designs are shipped in a convenient prefab format throughout North America and beyond. And in our local market, we'll even install it for you. Get started by exploring our breathtaking gallery of photos. Quality Work. Professional Service. At DECK THE YARD, we pride ourselves in customer satisfaction and quality craftsmanship. We don't want to just build your deck or add a shed and part ways...we want you to call us every time you need something built! We're proud of our reputation, and value word of mouth. We count on you telling your friends and family about your great new space and the professional service you received from us. We've always felt that if we make our homeowners happy, everything else will fall into place. It’s a philosophy that’s worked well for us for over 25 years. It keeps us producing top quality workmanship on every project, honing our expertise in the industry, and it sure keeps us busy with repeat business and word-of-mouth references. We look forward to every new job, to be able to contribute to the improvement of your home life and to do the construction work we enjoy! 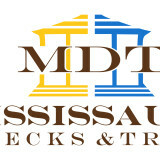 DAT Construction is a local company servicing the Burlington, Oakville, Milton and surrounding areas. We are proud to be in business since 2004 and have completed over 800 projects for our clients. Our experience has helped to create and build great projects that are fully enjoyed by our customers. Our clients develop a strong relationship with us during their renovation. Please contact us to arrange an on-site consultation for your future job. The Right Structure. The Right Way. Creating timeless outdoor structures, from gazebos to storage sheds and pool cabanas in one day with customized modular design. As a small manufacturer based in Ontario, we work directly with the customer much like a contractor or retailer. After a free consultation where we talk about your needs, all you need to do is choose from our catalogue of proven, modular garden structures. Designs are highly flexible, so you can choose customizations to make it your own. We then build your product in our shop, and assemble it quickly on site when ready. That’s it! Being in and out in less than a day makes it super easy for you. Though our process is unique and modern, our product is tried and true. We’ve honed our craft for over 25 years, creating classic, efficient designs that look great and stand the test of time. To prove it, we guarantee them from top to bottom for 1 year. Limestone Trail brings you great value in a convenient package. Talk to us today about the classic garden structure that’s right for you and you’ll have timeless in no time. We are a company that combines exceptional quality with innovative design and professional service. For 10 years, we have been taking pride in helping you design and build the perfect outdoor living space. Niet Custom Renovations is dedicated to complete customer satisfaction whether your project is large or small. Allow us to help you create a comfortable space to relax, work or play in, a place at home that you, your family and friends can enjoy for years to come. With your ideas and our expertise, we can transform your vision into reality! Done well post holes is your one stop shop for post hole diggers, decks, composite decking, deck design, fences and chain link fence in your area. we are dedicated to provide the best quality service at the best price. We're a Toronto based designer and builder of compact sheds for garbage, recycling and green bins. We create sheds that will enhance your outdoor space while protecting your waste bins from the menace of raccoons. Redwood offers three different models: a triple bin shed which holds all three bins, a single bin shed for large garbage or recycling bins, and a single bin shed designed to accommodate the new green bin. All sheds are built in our Toronto shop, and are delivered fully-assembled. We then install and level the shed at your location. Our triple bin sheds are designed to hold all three bins - garbage, recycling and the new green bin. They're built using top-grade materials - cedar shingle roofing, factory-stained pine siding, cedar trim, spruce framing and a pressure-treated deck to resist rot. We import our door latches from the United States, and they are even lockable. Our single bin sheds and green bin sheds are similarly built. We use cedar shingle roofing, pine plywood siding, cedar trim, spruce framing and a pressure-treated deck to resist rot. The front and tops of both these sheds open to allow for easy access to your bins. Additionally, we can match the colour to any Benjamin Moore paint colour (See our website for details). The specially-imported latches are also lockable. Please look through our projects, and feel free to contact us with any questions or concerns. See us at The National Home Show from March 10-19 at The Enercare Centre at Exhibition Place. 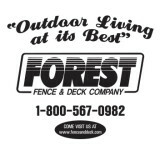 Top Notch Fence & Deck is a family-run business serving the GTA. 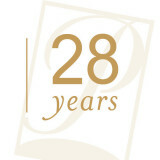 Since its establishment, Joel and Andrew Zondervan have been providing quality, timely and personable service. With a primary focus on decks, we strive to provide a product that not only looks great, but makes sense spatially and is structurally sound. We also have a vast experience with fences, pergolas, benches and other carpentry projects. Our goal is to turn your backyard dreams into reality in a cost efficient way. We strive to make your backyard project an easy and stress free process from start to finish. Toronto decks and fence company is proud to be one of Toronto's best deck design and building company. We have over 10 years of deck contracting & building experience and thorough understanding of what it takes to make the backyard of your dreams. Whether it's building a deck, a fence, pergola or a gate, we always take the same approach of uncompromised quality & attention to detail. Our deck builders built countless decks from cedar, IPE wood, Trex and Composite materials. Their experience in the greater Toronto communities of Richmond Hill, Vaughan, Markham, Maple, Thornhill and Etobicoke make it easier to attain deck permits and build beautiful decks that last.